Dr Crokes were crowned Molyneaux Cup champions at Rathbeg on Saturday last when they proved too strong for Rathmore winning on a 4-15 to 0-9 scoreline. Goals by Jamie Doolan, Chris Doncel and Mikey Casy saw Crokes lead by 3-8 to 0-4 at the break and another goal from Aaron Murphy soon after the restart ensured that Dr Crokes were once again winners of the Molyneaux Cup. Michael A Kelleher and Padraig Cronin accounted for seven of Rathmore’s scores between them. John Mitchels defeated Spa on Friday eveninglast on a 2-12 to 2-9 scoreline in the first semi final while Beaufort play Ballydonoghue on this Saturday in Beaufort at 5pm. Clounmacon are already through to the semi finals of the Barrett Cup as are Kenmare who got a walk over from Desmonds in the quarter finals. St Michaels-Foilmore play Castlegregory on Saturday at 5pm while the remaining quarter final sees Ardfert play Listry on Saturday 30th at 5pm. 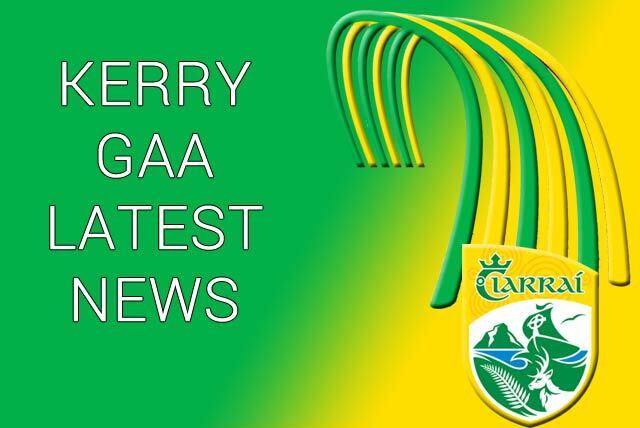 Currow are already through to the semi finals of the Cahill Cup where they will be joined by Skellig Rangers who had a big win over Charlie Kerins on Saturday last in another quarter final tie. Renard are also through to the semi finals following their 2-9 to 1-10 victory over Churchill on Saturday last. In the remaining Quarter final, Ballymacelligott play Beale on Saturday 30th in Ballymac.